When buying a Chevrolet, you are buying a reliable and solidly built vehicle. At Automaxx of the Carolinas, we have a boundless selection of Used Chevrolet Inventory to look at. When you buy a used vehicle, you not only skip those heavy unwanted depreciation values in your vehicle, but you can also acquire a vehicle that has many of the features you want to get incorporated into your next vehicle, included, with a price tag that will fit your budget. With a variety of SUV, trucks, and car models to choose from, we can accommodate your vehicle needs. Our selection of Used Chevrolet vehicles is in excellent shape, and many possess advanced features. Many vehicles have those modern features like a navigation system, trip computer, and even a low tire pressure warning system. You will also experience the comforts of interiors that get offered with many of our used Chevrolet vehicles like heated seats and leather interior. 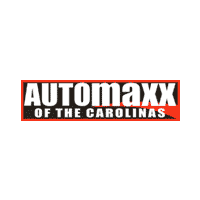 Come see us at Automaxx of the Carolinas, in Summerville, SC, and we can show you how much our Used Chevrolet vehicles have to offer you as your next dependable vehicle. You are sure to want to test drive many of our impressive options!